The Speaker’s Presidium is calling the members of the Chemistry Chapter to SM4 on 13/05-2019. The application for leadership positions in KK, the festivities committee, and KNUT, the business board, is now open once again! More info can be found in the form. If you know someone who would fit, you can also nominate them via the same form. Apply or nominate via this form. The application/nomination is open until April 5, 23:59. You are once again able to apply or nominate someone for the chapter leader positions KNUTVO and KNUTE. Take this chance to broaden your skill-set and network, apply here before Mars 20! Do you know a Chemistry Chapter superhero? Nominate them for the Honorary Award! The Kemisektionens Hederspris, aka Chemistry Chapter Honorary Award is once a year bestowed upon any individual who has "been deeply engaged in the Chemistry Chapters' activities, and worked for the good of the chapter for a long period of time". Nominations are collected from chapter members, and a laureate is elected by the Committee for the Honorary Award and confirmed at Chapter Meeting 4. Everything concerning the award is regulated by the Policy for the Honorary Award (swe). Nominations, including the name of the nominee and a short motivation, may be left in the urn in Draget which is depicted below or alternatively, sent to urna@k.kth.se . The last date for nominations is Friday, April 12. The application for leadership positions in KK, the festivities committee, and KNUT, the business board, is now open! More info can be found in the form. If you know someone who would fit, you can also nominate them via the same form. Apply or nominate via this form. The application/nomination is open until March 3 23:59. SM3 been rescheduled to 21th of February! We would like to tell you who the Salamanders are! Mystique in all its glory, but the Salamanders should not be hidden! In the past were the Salamanders a defined part of the Chemistry Chapter, but since a couple of years ago have they become more and more forgotten! This has resulted in that many students don't know what a Salamander is! A Salamander is a graduate member of the Chemistry Chapter appointed by the Chapter Board ($$) and the present Salamanders. 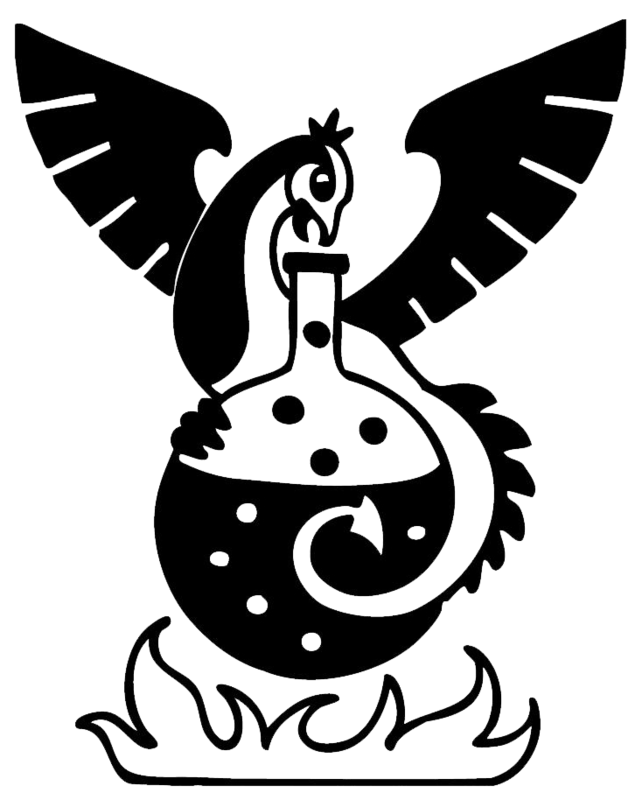 The Salamanders have been given the honorary assignment to be a link between the chemist generations and the industry. The contact between graduated students and Salamanders towards the students at the Chemistry Chapter can be a huge support. Therefore, has an initiative started to resurrect this connection, so that the Chemistry Chapter can have a flourishing alumni network! The first event for this will be the 16th of February and is called Veritas. For more information please check in the Facebook page Veritas. The Speaker’s Presidium is calling the members of the Chemistry Chapter to SM3 on 18/02-2019. Nu är det dags att söka ansvarsposter inför SM3"! Söket är öppet till den 18/1! Alla uppgifter sparas fram till SM3 och kommer därefter att tas bort. To apply for a position, send your application to valord@k.kth.se and include who you are, which position you are applying for, why you are applying for that position and why you think you are suitable. The application is open until January 18th. All information is saved until SM3 and is thereafter deleted. KAOSa is a management position in the Chemistry Chapter's reception. The 2 KAOSa lead the association KAOS together, and participate in the overall planning and administration of the reception through KLUMP (Chemistry's management during the reception). KAOS manages logistics, festive, and culinary duties during the reception, and also participate in greeting the new students and are provided opportunities to get to know the new students from day 1. NOTE: Both KAOSa need to be available throughout the spring semester and during august. You can apply here. The application will close once the year 2019 begins. This year's edition of Musikhjälpen starts today! Musikhjälpen is a week-long music festival with the purpose of raising money to charity. This year's theme is "Allas rätt att funka olika" or "Everyone is entitled to function differently", aiming to raise money and awareness towards disabled people. You can find the Chemistry chapter's fundraising page here. Please head over there and donate if you can!